As the year is winding down, the Moms of Master Books group asked me to post a "top five" post about some of our favorite resources. I was going to focus on the titles we reviewed this year, but instead I determined that I have five kids, and if each of them chooses their favorite Master Books title, I have covered a wide age range, and it is easier than me having to figure it all out. So I'll describe a bit about the book and why it is that child's favorite, I'll link to a review if this is a resource I have reviewed, or I'll give a bit more description if I haven't reviewed it. Trina (7): Tower of Babel: Pop-Up & Read, illustrated by Jon Taylor. This was a gorgeous pop-up book, geared towards roughly ages 10 and under. Trina adored it. 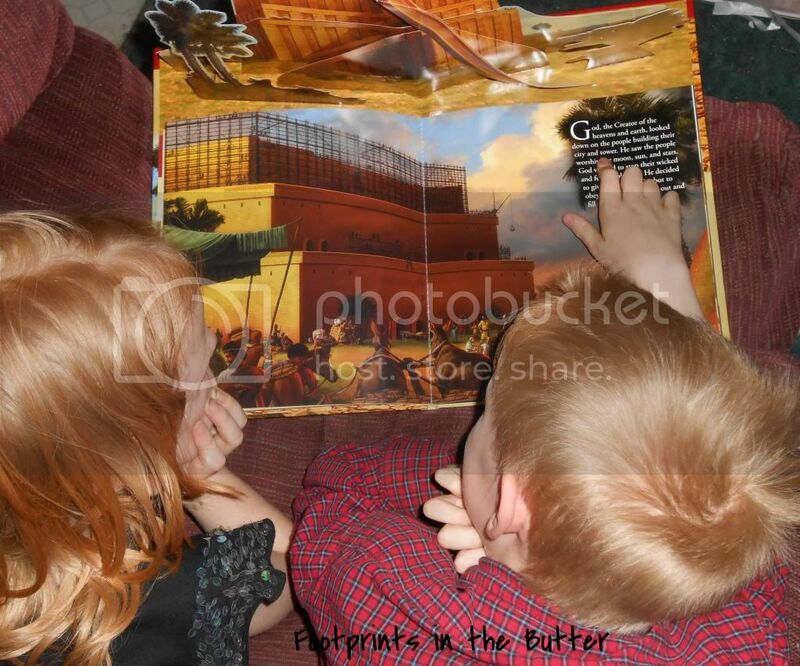 I had recently reviewed the grown-up title, The Tower of Babel, so I was fascinated to see how this presented the subject for kids. 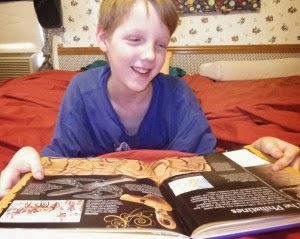 Richard (9): Big Book of History, by Laura Welch. I reviewed this book TWO years ago, and it was still Richard's immediate answer when I asked for his favorite Master Books title. No hesitation at all. Well, okay, truth here: he hesitated because he couldn't come up with the name of the book. When I asked for his favorite, he said, "Oh, that is easy. That one huge book that folds out. You know, not the one that has the earth and caves and the atmosphere and space and stuff, though that one is great too. The one that has the big huge timeline type of thing." Yeah, I think he liked it. Thomas: The Archaeology Book, by David Down. 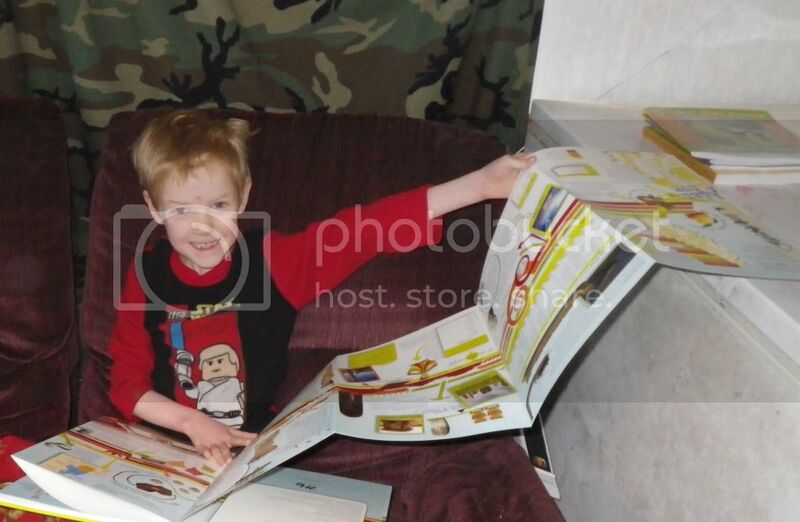 Two and a half years ago, I guest-posted on the New Leaf Publishing Group blog, talking about Thomas and his dream of becoming a Biblical Archaeologist. At that point, Thomas had been saying for 1.5 years that he was going into archaeology. Now it's been four years, though he does still waver a bit with some other career thoughts. But when I asked all of the kids for their favorite Master Books title, it was Thomas who spoke first. Not that he gave me an answer, exactly. He said something more like, "Really? You need to ask?" I did though, because I thought it was possible that Unveiling the Kings of Israel or Unwrapping the Pharaohs would be his favorite. I guess I should have known though. 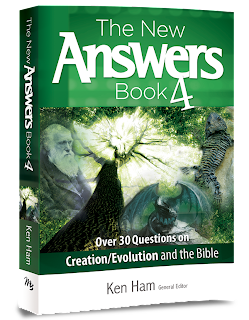 William: The New Answers Book 4 edited by Ken Ham. This shocked me. He is not usually the child who likes anything that seems like apologetics. He rolls his eyes when his big brother starts arguing the accuracy of the Bible with various people. And this is his favorite resource? Even when I mentioned things like the Amazing Science DVDs? I think he's growing up. His statement to me is that he really likes how this book helps him to defend his faith. 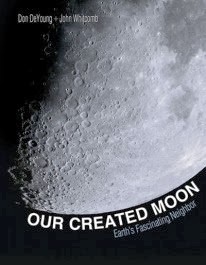 Connor (16): Our Created Moon, by Don DeYoung and John Whitcomb. Okay, so this surprised me a bit. But it is a piece of the new Survey of Astronomy Curriculum, and I am very impressed with these curriculum guides. What Connor likes about this particular book is that there is so much information in the book, it is very readable, and he thought it was just fantastic to have an entire book on the moon, when most astronomy resources seem anxious to get out to all the planets instead of spending time on a place people have really been. So... these are a few of our favorite things. You can see what other Moms of Master Books members highlighted at the New Leaf Publishing Group Blog. Disclaimer: As part of the Moms of Master Books program though New Leaf Publishing Group I was asked to write a summary post of five favorite books. Some of these resources I had received in exchange for an honest review. Some I purchased. Doing this post is part of my responsibility as a Moms of Master Books Blogger. No other compensation was received. The fact that I received complimentary products does not guarantee a favorable review.